Compound miter saw is one of the most common tools of a carpenter. You will see the miter saw tool when you call a carpenter for making something. However, you will not need to hire any person if you know how to use a compound miter saw. But, before you learn how to use a miter saw, you will need some preparations. 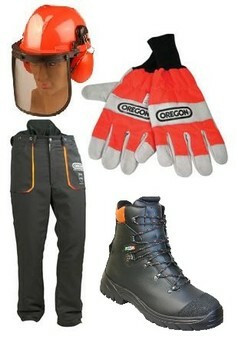 For example, you should know the precautions and use some personal protective equipment before cutting with the machine. You should not wear any type of jewelry while using the machine. Moreover, avoid gloves and loose clothes when you are in the work. You should use any particular tight uniform type cloth for operating the machine perfectly. You should carry all the guards while using the miter saw. Don’t forget to repair or readjust the guards if you are not getting accurate result. In case, the blades are not working properly, you will need to repair the miter saw. Therefore, you must unplug the machine before proceeding to repair the miter saw. 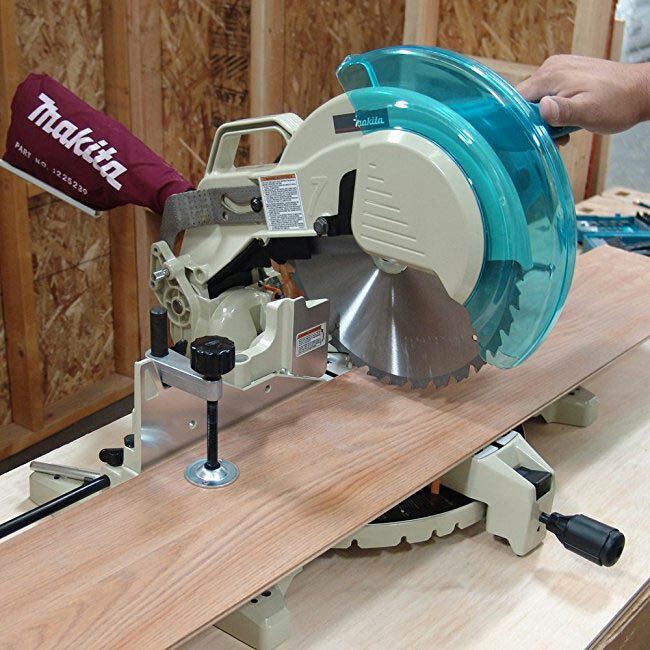 Miter saw has different blades for different cutting purpose. You should always use the blade for recommended items cutting purpose. Otherwise, you will not get exact result. After finishing one cut, you should check the blades arrangement and its result. You will need to wait to stop the blade fully after leave the trigger. Before starting your work, you should use some personal protective equipment so that you can continue work for a long time without having any problem. Having a miter saw does not mean that you can finish the work properly. In fact, you will need to learn how to use the miter saw properly. Many of the carpenters have the machine but only professionals can handle the machine properly. 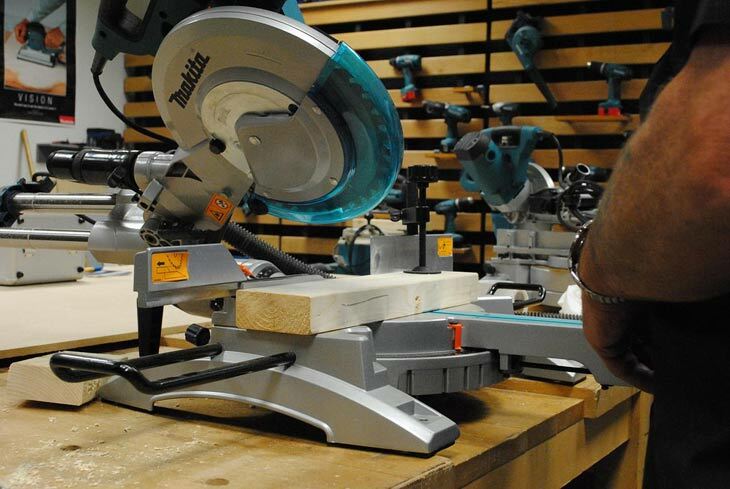 Do you want to learn to use the miter saw machine? Then, follow the following steps in order to learn the machine properly. First of all, you will need to prepare your machine for cutting. In this case, the type and design of the miter saw has impact. If your miter machine offers upper miter box, you will need to mount it. If it comes with sliding feature, then, you will need to slide the miter saw. Normally, the sliding miter box machines are lightweight and small in size. Don’t forget to follow the precautions and personal protective equipments in order to keep you safe. You should take a small size of plywood in order to check your blade arrangement is okay. For that reason, take the smallest but cut-able sized wood to make an effect. Now, you can proceed to your main board for cutting. However, you will need a pencil in order to measure your requirement and market the boards for cutting. In this case, you will need to make the measurement perfectly; otherwise, you can’t have the best required size. Now you take the board to the miter saw cutting area. In this case, you will need to use the vertical cutting position for your board. Many of the users prefer to cut horizontally but this is not the best way to cut the board. In this step, you will need to place the board into the miter box perfectly. Don’t forget to match the lines with the miter saw blade. Moreover, you will keep the box steady position using your hands. Now, you can start the machine in order to cut the board. You should think about using the two different slots of backsaw. For getting smooth cutting experience, you will need to lower the blade. On the other hand, you should not force the blade to go on cutting hard surface. In fact, move it slowly and give time to cut. Forcing the blades could damage the blade. Now you will need to sand the cutting pieces to make it smooth. This is only required when your pieces become very rough or any useless areas. Here, you can use any sandpaper in order to make it smooth by sanding. In order to straight cut any wood piece, you will need to keep the wood squarely to the miter tray and trigger the blade downwards slowly. In order to have a miter cut, you will need to place the wood piece in a right angle you required. Now, you trigger the cutting blade and cut it downward slowly and smoothly. Having a bevel cut is very easy for any person who can handle a compound miter saw. In this case, you will need to adjust the depth of the cut and base plate. Then, you will need to line up on the marks in the board and hold the speed square tight. Now, you can continue the cut against the base plate to have smooth and rough-free pieces. In order to angle cut your board, you will need to slide the saw’s base square up. Use the slide against the guide and start the trigger of the blade. You will need move forward the blade slowly and keep your concentration while cutting in a particular angle. Always keep the base plate in contact with the guide to get the best result. Now you have a clear idea about using a compound miter saw. 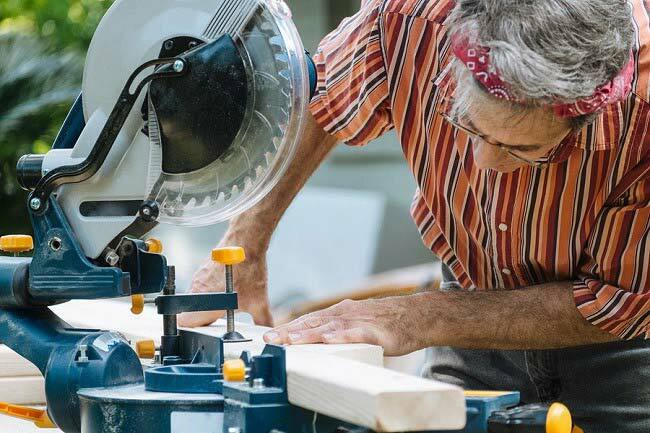 Therefore, follow our tips in order to complete the cutting using a miter saw. are gloves reccomender when cutting with dewalt miter saw?